Sleepers are members generally laid transverse to the rails, on which the rails are fixed to transfer the loads from the rails to the ballast and the subgrade. 1)Holding rails to correct gauge and alignment. 2)Firm and even support to rails. 3)Transferring the load evenly from rails to wider area of ballast. 4)Elastic medium between rails and ballast. 5)Providing longitudinal and lateral stability. 1)Sleepers used should be economical, they should have minimum possible initial and maintenance cost. 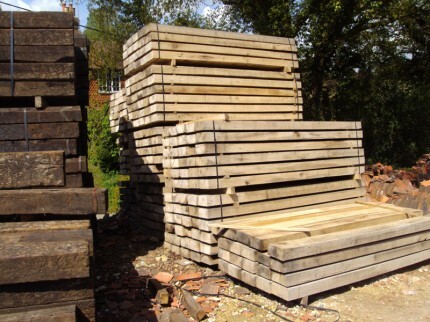 2)Operations such as lifting ,packing,removal and replacements of sleepers should be easily handled . 3)The weight of sleepers should have moderate weight. 4)The design of sleepers should be in such a way that the gauge the alignment of track and the levels of the rails can be easily adjusted. 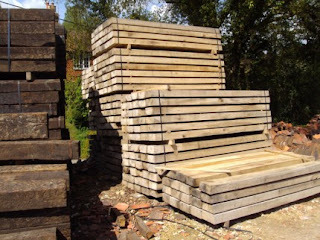 Wooden sleepers are regarded to be best as they fulfill almost all the requirements of an ideal sleeper. 1)Easy to manufacture and handling. 2)Suitable for track circuited area. 3)Can be used with or without ballast. 6)Alignment can be easily corrected. 2)) Liable to damage by beater packing. 3) Difficult to maintain the gauge. 4) Susceptible to fire hazards. 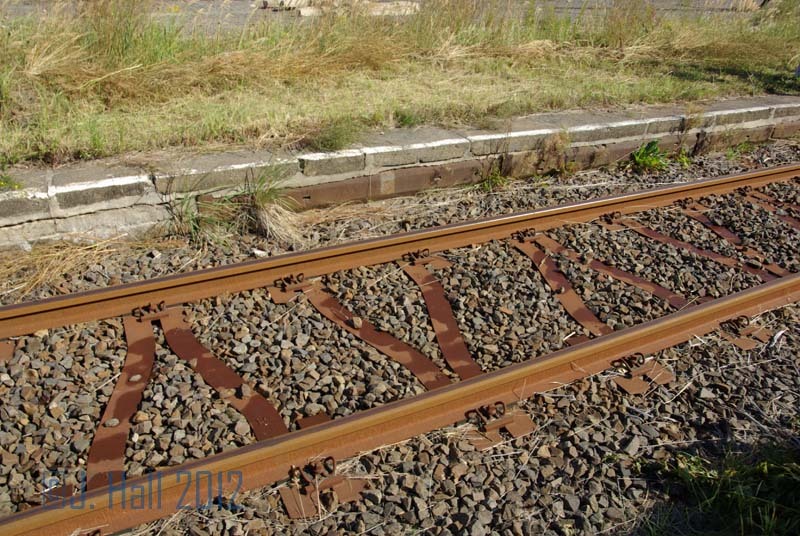 Durable and non durable types of sleepers. ii) Easy handling due to light weight. i) Not suitable for high speed route. ii) Difficult to maintain the Gauge. iv) Not fit for track circuited area. v) Not suitable for mechanical maintenance. vi) Tie bars weakened by corrosion. 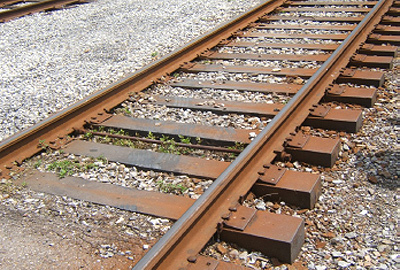 3) Tie bars weakened by corrosion, broken or damaged by falling of wagon parts. 4) Corrosion of tie bars inside the cast iron plates. i) ST sleepers with Pressed up lugs. ii) ST Sleepers with loose jaws. iii) Bolt and clip type ST Sleepers. ii) Not fit for track circuited area. iii) Develops cracks at rail seat during service. iv) Can only be used for rails for which it is manufactured. ii) Track geometry maintained for much. longer duration hence economical. iii) Best suited for machine maintenance. iv) Suitable for Track circuiting area. v) No chances of damage by fire/ corrosion. vi) No possibility of theft. vii) No chances of gauge widening. viii) 60 Kg Sleeper can be used for 52 Kg rail. ix) Best suited for LWR track. x) Best performance on P & C, S.E.J. Guard rails , Level Crossings, Check rail in curve. i)Handling and laying is difficult being heavy. ii)Damage is very heavy in case of derailment. iv)Not suitable for manual packing. i) Track should be deep screened. ii) Cuttings having rocky bed should have clean ballast cushion of at least 300 mm. iii)On Arch bridges formation cover min. 1 m.
iv) On other bridges ballast cushion not less than 300 mm. The space between two adjacent sleepers determines the effective span of the rail over the sleepers. It is the number of sleepers per rail length. ii)Type and section of rails. iii)Type of ballast and ballast cushion. iv)Type and strength of sleepers.